In the religious ferment of 16th century Europe, a small group of Christians in the Swiss canton of Zurich gathered in a home on a wintry January day in 1525. One of them, George Blaurock, asked another, Conrad Grebel, to baptize him. Around the circle they went, baptizing each other in what they understood to be their first true baptism. 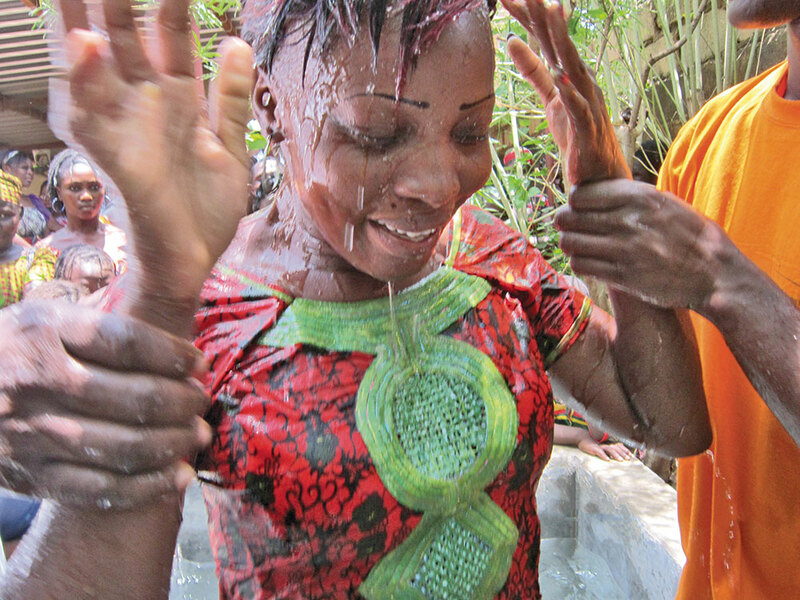 It was a baptism performed upon their confession of faith in Jesus as Lord. It was a radical act that earned many of them a martyr’s death. The 16th century was a time of great change in the religious life and practices of many in Western Europe. A variety of voices from within the church were advocating for change. They were frequently critical of practices and theology that had developed over many centuries of church life. In an earlier time, the criticisms of a few reform-minded individuals might have had little impact. Technology, however, had a hand in changing that. The printing press had been developed in Europe. Its advent was almost as revolutionary as today’s Internet. In short order, the ideas of a few people could be shared among many. Reformation fever quickly took hold. For centuries, there had been only one church in Europe: the Roman Catholic Church. It exercised complete spiritual authority over all of its members and had little tolerance for those whose thought or practice was different than the official stance of the church. A primary symbol of that authority was the administration of the sacraments. Rites such as baptism, the eucharist, hearing confession and assigning penance, even the last rites given at the time of death, were understood to be the means by which God’s grace was given to the people. In essence, church leaders believed they held the means of salvation firmly within their grasp. The practice of infant baptism was especially powerful. The physical act of baptism was understood to actually cleanse people of their sin. In Roman Catholic practice, the water of baptism was not just a symbol. Baptismal water actually did what it proclaimed. It made sense, then, to baptize infants in order to cleanse them of sin and secure their salvation. Believer’s baptism of adults called into question the church’s practice of conferring salvation upon infants who lacked ability, or even the will, to choose faith in Christ. This was more than just an attempt to challenge the authority of the institutional church. The practice of believer’s baptism went to the core of the early Anabaptists’ understanding of what it meant to be Christian. Christian faith was not something that one was born into. Christian identity came about by faith in Jesus. In declaring that salvation came through faith alone, early Anabaptists joined a host of other believers who were re-examining Scripture and coming to new conclusions about Christian faith and practice. Martin Luther, the former monk whose efforts to reform the Roman Catholic Church resulted in a new “Lutheran” church, argued against anything that appeared to be “works.” He echoed the Apostle Paul, who wrote that one was justified by faith alone and not by works, lest anyone should boast. Others, such as John Calvin in Geneva and Ulrich Zwingli in Zurich, also attempted to reform the practices of the Roman Catholic Church. Reformers insisted that Scripture was the sole spiritual authority, not the traditions of the church! Still, to be called an Anabaptist in 16th-century Europe was to be named a heretic. The term referred to being “rebaptized,” and it was a punishable offence. Even reform-minded leaders found it difficult to imagine a legitimate church refusing to baptize infants. None were willing to challenge the practice of infant baptism in quite the same way. Anabaptists stood alone. Unfortunately for Anabaptists, the Catholic Church’s spiritual authority was connected to civil authority. Through baptism, one became a part of the church and a citizen of the state. One’s baptismal record functioned as a kind of birth certificate. To be unbaptized was to be undocumented. Neither the church nor the state considered that to be a good thing. This relationship of mutual support between the institutional church and civil authorities formed a kind of “Christian” kingdom. Christendom provided a way of understanding the world that seemed to bring it into a harmonious whole. The state handled civil life, but the church offered something even more impor-tant: eternal life. Each ruled its respective sphere and supported the other. By baptizing each other, these so-called Anabaptists denied the church’s claim of spiritual authority and challenged its relationship to civil authority. Anabaptists were among the first to see a need to separate the church and the state. They declared their true citizenship to be in the kingdom of heaven, rather than to any kingdom or ruler of the world. Anabaptists argued that their primary allegiance was always owed to Christ alone. Civil and religious authorities throughout Europe moved quickly to quell what they viewed as a dangerous movement. Wherever groups of Anabaptist believers emerged­—in the Swiss and German regions of Europe and as far north as the Netherlands—they met with great opposition. Thousands were imprisoned and put to death by burning at the stake or by being drowned in a local river. Drowning was considered a particularly appropriate death for Anabaptists. They had, said the authorities, sinned through the use of baptismal water, so by water they would lose their lives. In spite of severe persecution, groups of Anabaptist believers continued to meet, often in secret. Men and women gathered together to read Scripture and to encourage each other in the faith. They shared the bread and wine of the Lord’s Supper, viewing them as symbols of Christ’s body that had been offered for their salvation. Here again, they challenged a Catholic understanding of the eucharist as a sacrifice in which the bread and wine became the actual body and blood of Christ. For Anabaptists, the Lord’s Supper was simply a memorial meal shared among believers who were committed to following Jesus in life and death. Anabaptists believed that the core of Christian faith was expressed in a life of discipleship. Following Jesus as a disciple meant living as Jesus did during his time on earth. The gospel accounts of Jesus were especially influential for sorting out what that meant. As a result, early Anabaptists became radical Bible readers who tried to put into practice what they read in Scripture. For example, when Jesus, in the Sermon on the Mount, said “love your enemies” and “do good to those that hate you,” Anabaptists read this as the way that Christians should truly live. Many refused to arm themselves against those who threatened their lives or their property. That refusal to fight against so-called enemies was viewed as another threat to civil authority. How could Anabaptists be trusted if they refused to bear arms? Anabaptists repeatedly witnessed that they respected the authority of the state, but that their primary allegiance was to Christ and to the kingdom of heaven. To kill in the name of Jesus, the one who came to bring peace, was simply unthinkable. By refusing to align themselves with any particular civil authority, Anabaptists left themselves vulnerable to ongoing persecution. They also began to establish a pattern of migration in response to persecution that helped spread Anabaptist practices to places far beyond Western Europe. Through migration and missionary work Anabaptist congregations can now be found around the globe. What do Anabaptists have in common? Like all Christians who are rooted in the story of Jesus, Anabaptists look to what God has done in Jesus as the basis of salvation. They share with many other Christians a Trinitarian understanding of God who is revealed to humankind as Father, Son and Holy Spirit. Anabaptists place special emphasis on voluntary church membership and believer’s baptism. They continue to call each other to a life of discipleship and seek to resist the temptation to find security in political allegiances. As much as possible they seek to live at peace with their neighbours and to practise love of their enemies. In the spirit of the 16th-century Reformation, they look to the Bible as the sole authority for faith and life. Anabaptism was born as a movement of religious renewal. The varieties of Mennonites, Brethren in Christ, the Amish and the Hutterites all find their roots in this movement. They are not alone. Contemporary Christians from other church traditions are also being drawn to Anabaptist theology and church practices. These “neo-Anabaptists” are discovering the witness and the message of early Anabaptist leaders, many of whom were martyred for their faith. They are establishing new Anabaptist communities and networks of congregations that are exploring what it means to be Anabaptist in the 21st century. Almost 500 years after Conrad Grebel baptized George Blaurock, the call to radically follow Jesus is still being answered. Valerie G. Rempel is associate dean of Fresno Pacific University Biblical Seminary in California, associate professor and J.B. Toews Chair of History and Theology. Meetinghouse is an association of Mennonite and Brethren in Christ publications. 1. What does baptism mean for you? What inspired you, or who encouraged you, to ask for baptism? Does your congregation emphasize the need for baptism so that only members can be fully involved in the church? Why do some people today view membership as optional? 2. Valerie Rempel describes how baptism was viewed in the 16th-century Roman Catholic Church. 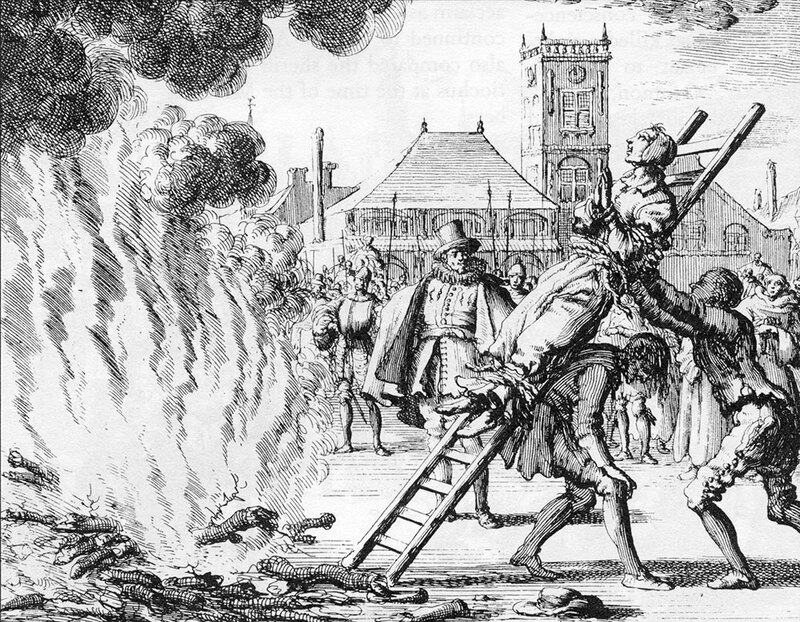 What was it about the Anabaptist stance that threatened the church authorities? How was the view of baptism in the 1500s different from what it is today? 3. Rempel says that the Anabaptists “were among the first to see a need to separate the church and state.” In what ways has freedom of religion served us well? Does freedom of religion eventually lead to religious decline? 4. Rempel says that Anabaptists today “continue to call each other to a life of discipleship and resist the temptation to find security in political allegiances.” Is this an accurate statement for your congregation? How do you work at encouraging discipleship in each other? Do young people today have a different idea of what that means compared to their grandparents?